I Am Giant are returning to Australia for the first time since their support slot with Slash in September. I Am Giant recently released their debut album, The Horrifying Truth (produced by Forrester Saville) in the UK and Europe in October, and their single ‘Purple Heart’ won support on BBC Radio One as Zane Lowe’s ‘Next Hype’ , XFM, Kerrang! Radio and Q Radio as well as hitting the No 1 spot on Polish Radio Eska Rock. 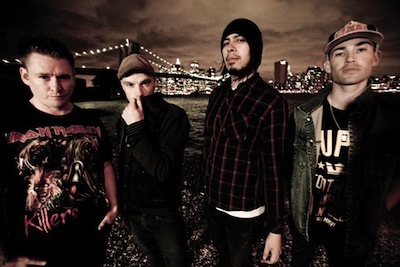 I Am Giant have amassed a worldwide following with four #1 rock singles, music videos featuring skate and surfing icons Tony Hawk and Kelly Slater, and from touring with Taking Back Sunday and The Big Day Out.